New Delhi: Police complaints have been filed against two private hospitals in Delhi after a 36-year-old woman academician from Assam died of blood infection and heart attack allegedly after undergoing wrong surgery without proper facilities. According to the police complaint, Anamika Ray, an assistant professor of Gauhati University, was admitted to the city-based Navjeevan Hospital for a minimal access surgery of gall bladder on July 17. Ankuran Dutta, the deceased woman’s husband who works in K.K. Handiqui State Open University, alleged that the doctors neither performed an ultrasound nor saw the reports of similar tests done before to exactly locate the gall bladder. “The protocol of the surgery was not performed. After the surgery was performed, I was all of a sudden told by the doctor that the patient had suffered a heart attack and blood pressure had come down. Even in such a situation, there was no cardiologist in the hospital to check my wife due to which my wife was left at the operation theatre without any doctor from 11 a.m. to 7.30 p.m,” Dutta said in the police complaint, a copy of which is with IANS. It further said that after looking at the woman’s deteriorating condition, the doctors instead of providing further treatment, moved the patient to the nearby Jaipur Golden Hospital, where she was told to have suffered from septicemia (blood infection), whose prime reason was wrong treatment during surgeries, mostly laparascopic surgeries. 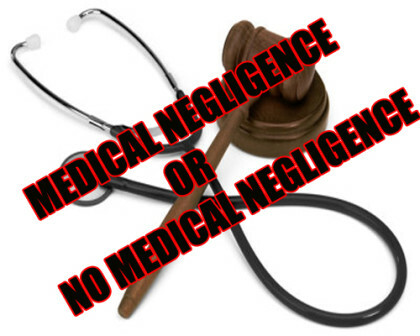 Terming it medical negligence, the kin of the deceased woman have questioned why they were not informed about the blood infection. The complaint also said that after being admitted to the Jaipur Golden Hospital, the doctors there too did not start immediate treatment as the patient was not in a good condition. Even as the patient’s kin kept urging the hospital authorities to shift her to better hospitals, treatment was delayed due to which the patient suffered several heart attacks before collapsing. On being contacted by IANS, both the hospitals — Jaipur Golden and Navjeevan — confirmed the matter but said they were yet to receive any notice from police. No FIR has been registered as yet in connection with the matter. “As per protocol, such cases are consulted with a medical board and further action is taken depending upon what the board suggests. Inquiry is on,” said a police official.